The drought level for the Kootenay Boundary region has been increased to Level 4 by the Provincial Government as of today, Friday, September 8, 2017. All water users in the region are being asked to reduce their normal water use by 50%. 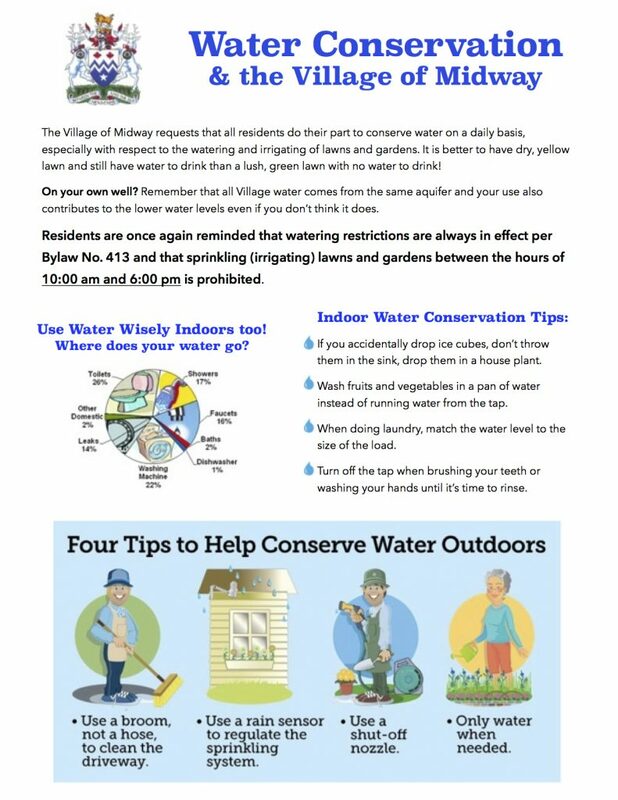 While there are currently no additional watering restrictions for the Village of Midway (watering is still banned between 10:00 am and 6:00 pm year-round) we encourage all residents, both municipal and well-water users, to reduce their household and garden/irrigation consumption. Please refer to the release from the Kettle River Watershed Authority for more information. • The average Canadian uses 329 litres of water per day, although the average Canadian thinks they use 132 litres per day. • At 941 litres per day per person, water usage in the Village of Midway is almost three times the Canadian average. • Domestic water consumption in Midway increases 130% in the summer months when people are watering their lawns and gardens. 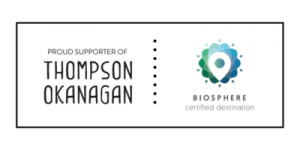 • Residents of Midway use an average of 180,000 litres per day in the winter compared to an average of 1,371,500 litres per day in the summer. Let’s continue to conserve water year-round! Easy tips to help conserve water – and still have a healthy lawn and garden! • Lawns and gardens require only 35 millimetres (~1.5 inches or enough to fill a tuna can) of water per week during warm weather. Less is needed during spring, fall, and cooler weather. • Do not over-water to compensate for expected dry periods. Soil cannot store extra water. • Water lawns every three to five days, rather than for a short period of time every day. This will help grow deeper roots, making your lawn more tolerant to hot summer temperatures. • Raise your lawn mower blade to cut grass no lower than eight centimetres (three inches). Longer grass also helps feed the roots, reducing the need for it to quickly regrow. • Choose water-efficient plants and consider xeriscaping. On days when it has rained, water your lawn less and turn off your automatic irrigation system. • Adjust sprinklers so that water does not run down your driveway or street. • Adding a few inches of mulch to you gardens keeps your plant’s roots cool and moist. Water conservation is everyone’s responsibility, including residents on their own wells. Village water and well water originates from the same aquifer, and if levels continue to drop then we all suffer. The Village would appreciate it if well owners followed the same water regulations as everyone else. hours of 10:00 am and 6:00 pm is prohibited as set out in Bylaw No. 413.  The Village of Midway reserves the right to disconnect offenders from the water service, and any service that has been disconnected will be charged a minimum of $50.00 before service resumes.